Located in London, a 19-minute walk from King's Cross Theatre and 1.5 miles from British Museum, Angel offers free WiFi. 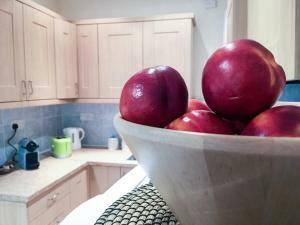 Guests staying at this apartment can use a fully equipped kitchen. St Paul's Cathedral is 1.8 miles from the apartment, while Emirates Stadium is 1.8 miles from the property. The nearest airport is London City Airport, 8 miles from the property. When would you like to stay at Angel? 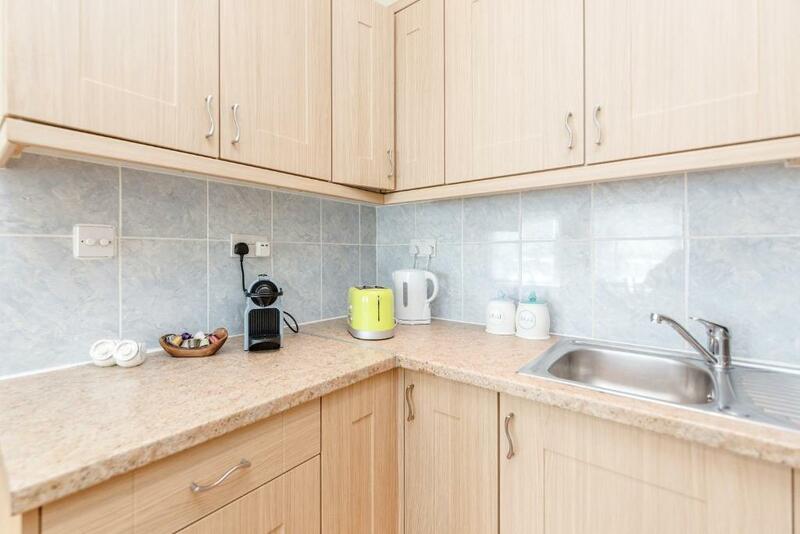 This apartment has a stovetop, electric kettle and toaster. 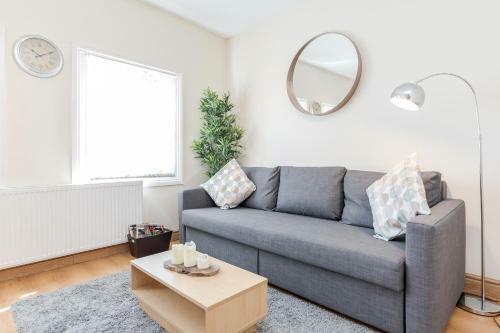 Lovely and homely apartment located in the picturesque and vibrant neighborhood of Angel, Islington. The location is perfect to explore London and the area is full of local amenities, pubs, restaurants, shops and beautiful canal walks. Just a few minutes by walk from Angel Station (5 minutes) and King's Cross St. Pancras (15 minutes). Good for couple, solo adventures, work travelers and family. Creative artistic and friendly. Traveling and food lover. I really love trying all the food around the word. London is my second home and hosting give me the fabulous opportunity to meet new people ad new cultures. I am very handy and happy to help to get most of this beautiful City. You will feel like home. 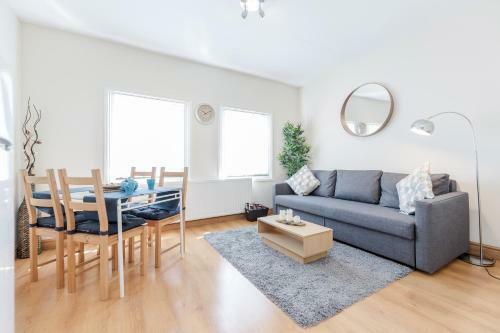 LOCATION- The apartment is situated about 5 mins walk from Angel Underground Station which is on the Northern Line and 15 mins walk from King's Cross/St Pancreas International Station line give access across the entire London network. Within walking distance from the flat there are several pubs, restaurants and supermarkets (Iceland, M&S food, Sainsbury's). You can explore Chapel Market and buy fresh produce to cook in our fully equipped kitchen. All the major tourist attractions are a quick 10 minutes tube journey away. ★ Angel-Northern line, 5mins walk. ★ Kings Cross/St Pancras (Victoria, Northern, Circle, Hammersmith, Piccadilly Lines). 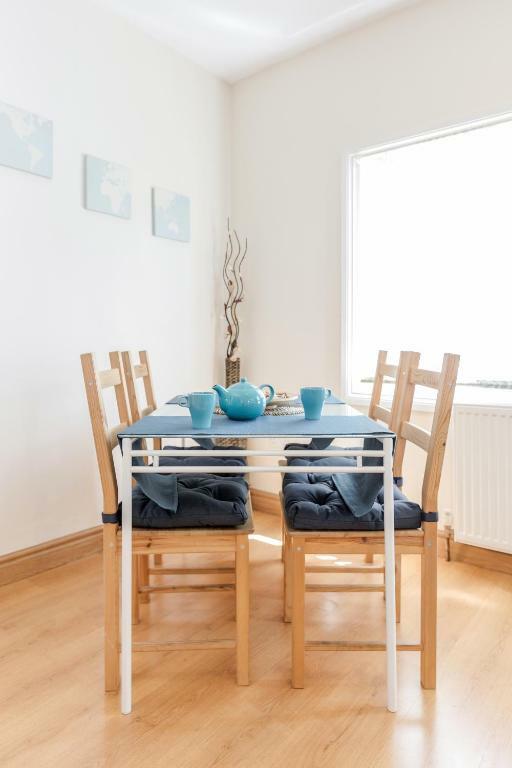 ★ Highbury & Islington (Victoria Line), both 15mins walks. There are also a number of different night buses. If requested, we can also arrange transfer from / to airport I look forward to seeing you soon at my apartment. Should you have any questions or special requests, please do not hesitate to get in contact. House Rules Angel takes special requests – add in the next step! A GBP100 damage deposit is required on arrival (around USD130.09). This deposit will be fully refunded at check-out, as long as there isn't any damage to the property. Please note late check in between 23:00 and 00:00 is subject to a GBP 20 extra fee. Late check in after 00:00 is subject to a GBP 35 extra fee. Payment is due in cash, on arrival. Please inform Angel of your expected arrival time in advance. You can use the Special Requests box when booking, or contact the property directly using the contact details in your confirmation. A damage deposit of GBP 100 is required on arrival. That's about 130.09USD. This will be collected as a cash payment. You should be reimbursed on check-out. Your deposit will be refunded in full by credit card, subject to an inspection of the property. We need at least 5 reviews before we can calculate a review score. If you book and review your stay, you can help Angel meet this goal.